Dr. William update – Lagonave Alive! Dr. William Hyppolite is our medical student completing his final year at UTESA Medical School, Santiago, DR. 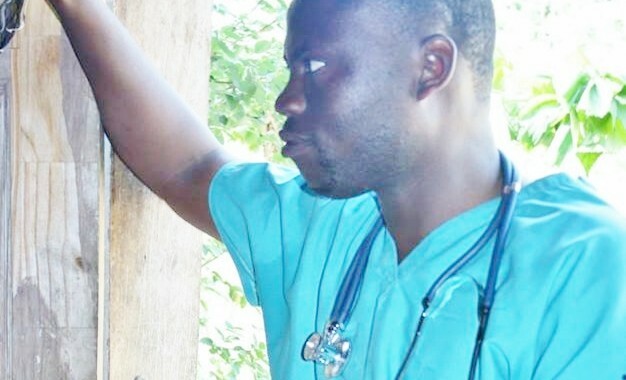 Currently he is in an Internal Medicine rotation and serving the poor in a village near Haiti. He will have a pediatrics and gynecology rotation with a projected graduation of March 2016. Following graduation he owes a year of service to the country of Haiti and will likely serve in a hospital in Port-au-Prince. Our hope is that we will be able have him perform mobile clinics on LaGonave during this year. We have two big projects on the horizon. First is building a clinic for Dr. William and other nurses, medical persons to serve. The second is a decision on whether William will go on to a residency program or just begin serving on LaGonave. We covet your prayers as he finishes, it is a difficult time for Haitians in the DR and he has final rotations and examinations to complete his medical degree.